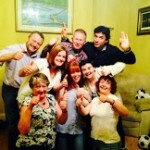 A great memory photo of a fabulous night with the family & perhaps a couple of familiar faces? 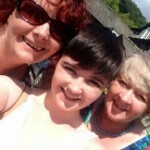 Myself, my daughter & my mother in that order, I know my mother just doesn’t look old enough does she? Oh where to start? I’m a wife, mother, grandmother (I know I am definitely too young but I love them to bits! ), business advisor, dog walker, interviewer and general dogsbody. Mainly though I love to communicate and help people & businesses solve problems, often through my lovely contacts. It’s vital in business that we support each other as much as we can. I’m feeding the repressed author in me by publishing blogs and LinkedIn articles, if you’ve time to have a read and leave me a comment I’d love to hear your thoughts. If you like what you see on here connect with me on twitter at @diannecumbria or on LinkedIn and let me know you’ve visited my website, I’d be delighted to get to know you better. My experience ranges from retail, public service, hospitality, business support projects and education sector. I’m a lifelong learner and graduated with First Class honors at the age of 45. I saw a quote once which said “Education is the one thing you are given which no-one can take away from you”, unfortunately I didn’t make a note of who said it because that quote really resonated with me. So please enjoy a wander round my website and if there’s something I can help you with get in touch. Very nice! Lots of thought provoking stuff here – nice to have it available for non-Linkediners. Just my opinion – but don’t have too many ‘pages’ – most people will just read your latest post. Thanks David, I agree about the number of pages, I think I’d maybe like to just add one more in with recommendations of some of the things I like, web based & offline. I know what you mean about people just reading the last post, our attention spans are becoming so much shorter in general now aren’t they? Honoured you took time to have a good look round the website and comment, thank you. Fab website Dianne and looking forward to more posts!!! Thanks Daniel, pleased you like it!